Today is the birthday of American stand-up comedian, actor, author and social critic George Carlin. 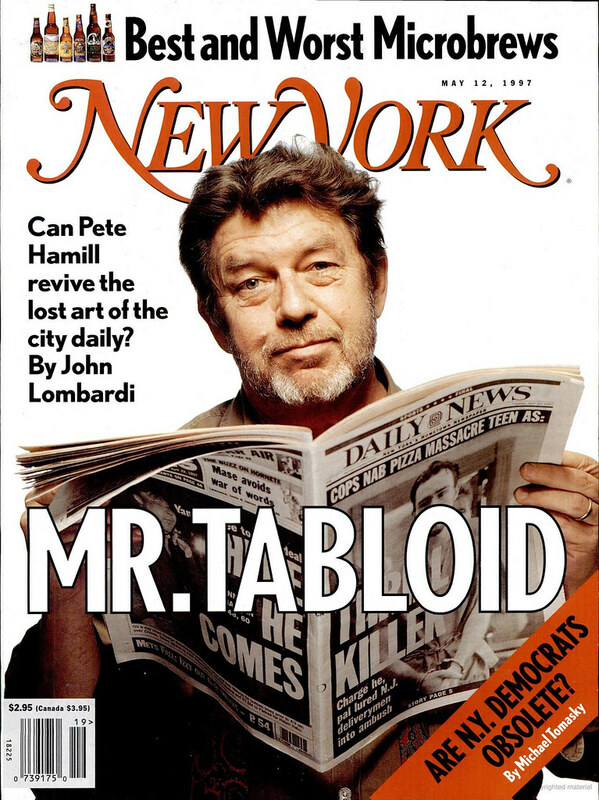 He was easily one of the best stand-up comedians in my lifetime and now my son is discovering him through YouTube, which has been fun for me. 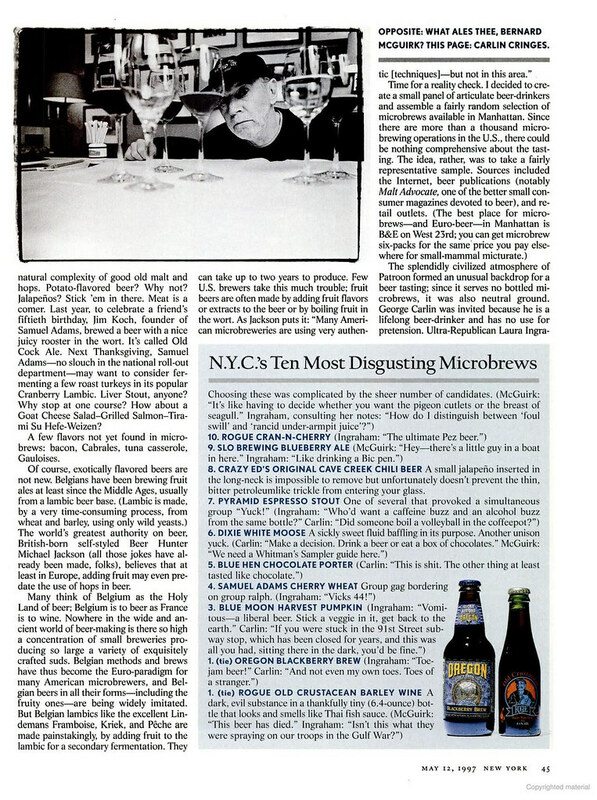 Anyway, Carlin enjoyed beer, and because of that twenty years ago New York Magazine asked him to participate in a tasting of “microbrews” for an article written by Tony Hendra for the May 12, 1997 issue. 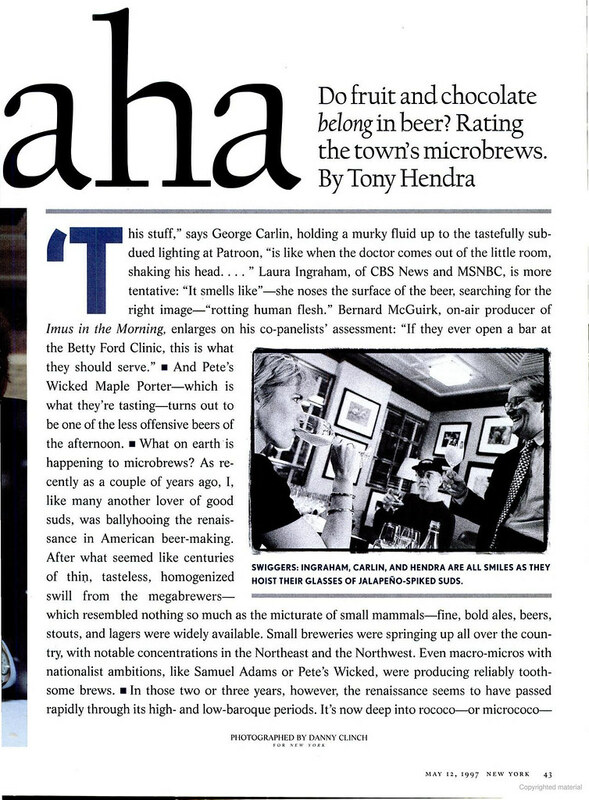 In addition to Carlin and author Hendra, the other beer tasters were Bernard McGuirk, who “is the executive producer of the Imus in the Morning radio program” and Laura Ingraham, who “is an American radio talk show host, author, and conservative political commentator.” It’s an odd group, though the unifying factor seems to be that they’ve all worked in radio. 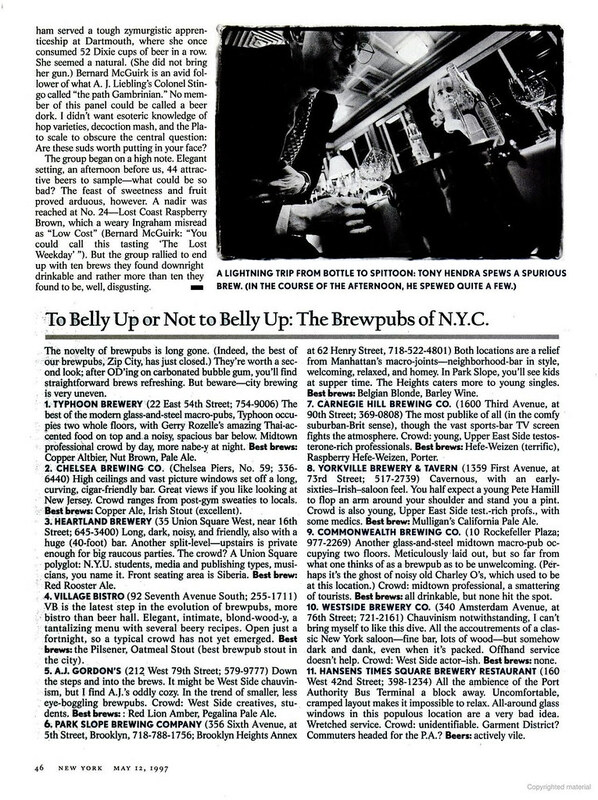 It’s funny to hear them complaining about all the fruit in beer those days, instead of the “reliably toothsome beers” that Pete’s and Samuel Adams, among others, had been making before then. 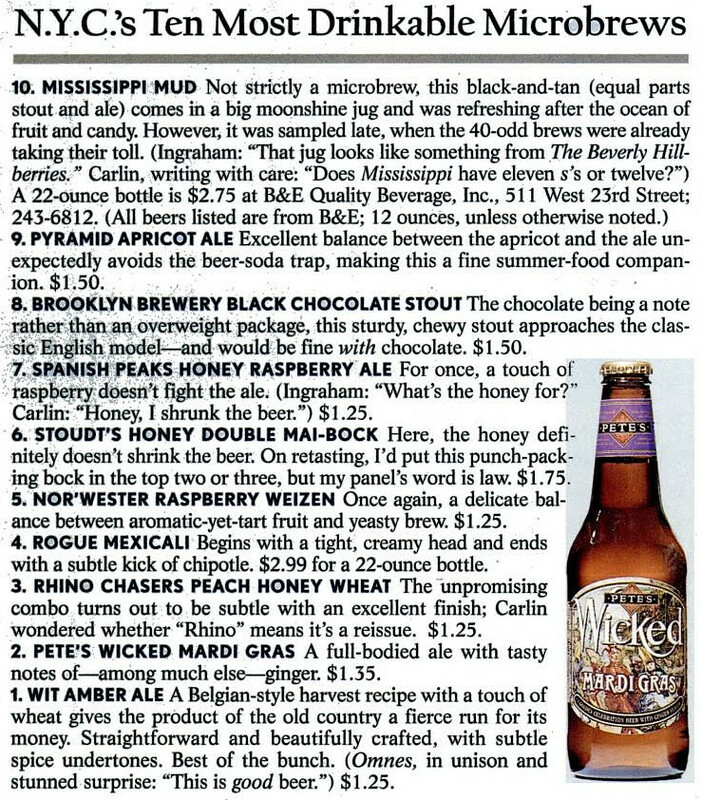 They don’t say how many or which other beers they sampled, but their list of their Top 10 is certainly a trip down memory lane. It’s strange to say, but I can honest;y say I’ve had every one of them. And their list of the ones they most disliked is equally interesting. 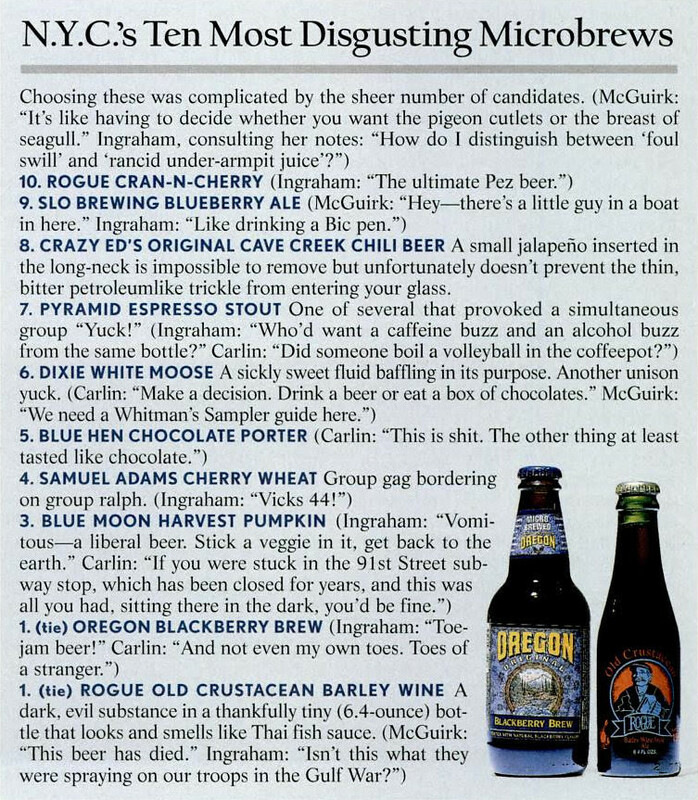 And again, it’s weird, but I’ve tried every one of those beers, too. 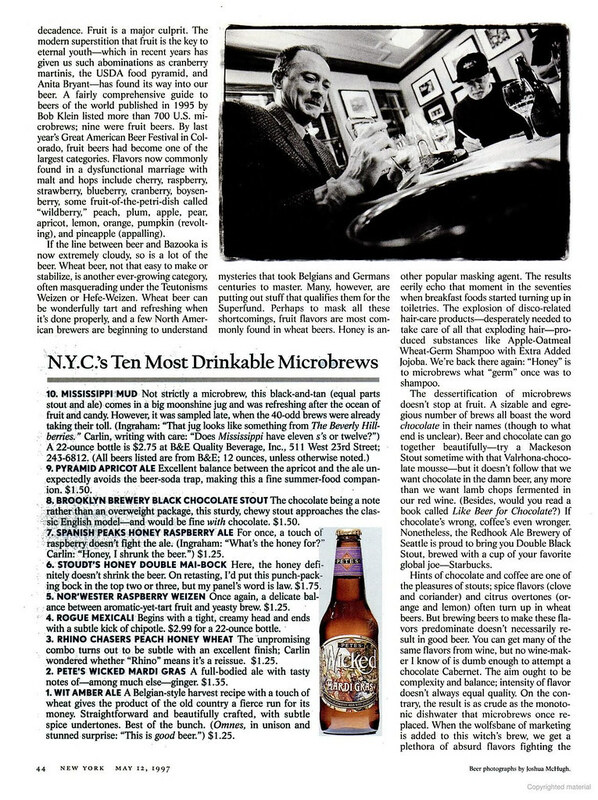 They have some pretty interesting remarks about each of them, but their notes of Rogue’s barley wine betrays their deep ignorance about what they’re drinking. Another hint that they’re not exactly aficionados is the reference to spittoons. 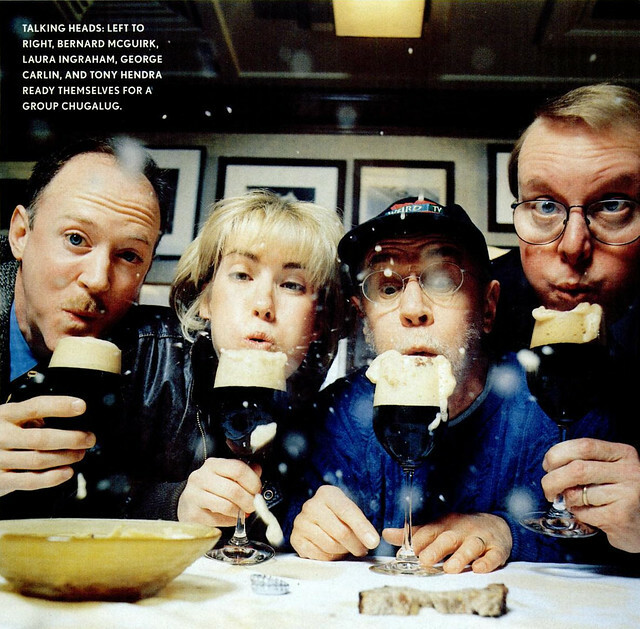 Twenty years ago it was pretty common to see articles like this, blissfully unaware that tasting beer and wine was different. And then they’d just proudly blurt out their spitting, giving away their ignorance without even realizing what they were doing. 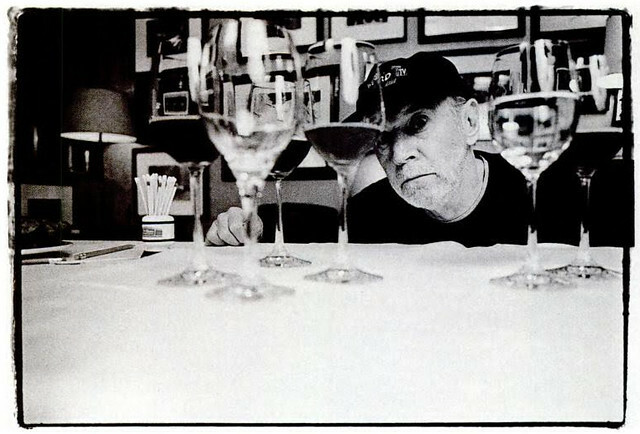 But anyway, happy birthday George Carlin. What a great score!!!! Good work!!! !